E Martin has won Free Accommodation 1 time! "I am overwhelmed and excited, I never win competitions and this would be the first time that I win one. I am really grateful as it could not have come at a better time. 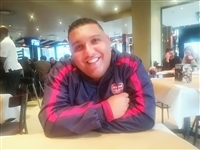 I would like to thank God firstly and then I would like to thank Sleeping out, and last but not least I want to thank Botterkloof Resort, I will definitely be staying there again on one of my next holidays as I enjoyed it thoroughly and the service I received was of an impeccable standard. I will recommend anyone to go on holiday. I won!!!!!!!!!! Can't believe it I am still shocked." Botterkloof Resort is situated along the Garden Route, six kilometer from the picturesque town of Stilbaai on a working olive- and wine farm. 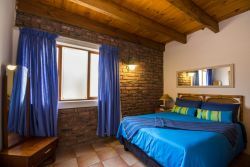 Well known for its focus to let guests relax and revitalize, Botterkloof offers 19 fully equipped self-catering cottages, ranging from two to five bedrooms and two lovely bed and breakfast units. Some of the cottages are on the main resort and the other self-catering cottages are located on the working farm which is one kilometer away from the main resort. Botterkloof Resort was recently awarded a BEST VALUED STILBAAI ESTABLISHMENT AWARD 2018, BEST VALUED STILBAAI PET FRIENDLY ESTABLISHMENT AWARD 2018, GUEST REVIEW AWARD 2018, SANLAM RUNNER-UP SOUTH AFRICAN SELF-CATERING RESORT AWARD 2018, TRIP ADVISOR CERTIFICATE OF EXCELLENCE WINNER 2018 & TRAVELLER AWARD 2017. Botterkloof facilities include a Swimming Pool, Farm Stall, Wine Store, Restaurant, Children's Play Area, Bass Fishing and a vivid bird-life coupled with the sound of tranquility of nature that surrounds them, guests also have a magnificent view over the dams and the olive grove. For meditation and prayer, there is a beautiful chapel - or you can sit on the benches under the large Blue Gum trees to reflect. The Botterkloof Restaurant is famous for its South African traditional dishes like Cape Malay Curry and Bobotie. The Botterkloof Restaurant also makes the best Burgers in the Hessequa Area. Our MOOILOOP cupcakes are so good, it even featured on national television! The theme for the Botterkloof Restaurant is "WHERE GOOD FRIENDS AND FAMILY MEET OVER GREAT FOOD" Botterkloof's five star Olive Oil is sold in the Botterkloof Farm Stall along with the best wines from Robertson, Stellenbosch and Franschoek. The Farm Stall also stocks a large variety of mustard, chutney and specialized liquor in the Gin section. Botterkloof Resort, Stilbaai, is located six kilometer from three internationally acclaimed Blue Flag beaches, Gin Distilleries, Cheese Factories, Archaeological Museums, health and wellness centres, and is one of the most bio-diverse areas in Stilbaai.